The importance of big data over analytics made the process of solving various real-world problems simpler. The big data and data science tool box provided a realm of data preparation, data analysis, implementation process, and solutions. Data connections over any data source, data preparation for analysis has been made simple with the availability of tremendous tools in data analytics package. Some of the analytical tools include R programming, python programming, rapid analytics, and weka. The patterns and the granularity over the observed data can be fetched with the visualizations and data observations. This chapter provides an insight regarding the types of analytics in a big data perspective with the realm in applicability towards healthcare data. Also, the processing paradigms and techniques can be clearly observed through the chapter contents. There are different types of analytics. They are Predictive analytics, Descriptive analytics, Diagnostic analytics and Prescriptive analytics. Among these predictive analytics is very useful to predict the future events. 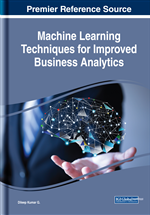 Predictive analytics uses many techniques such as statistical learning, machine learning, data mining a nd artificial intelligence. The patterns found in past and transactional data can recognize risks opportunities for future. Applications of predictive analytics are as follows; Customer Relationship Management (CRM), Fraud Detection in Banking sectors, Risk Management, Direct Marketing, Healthcare, etc. The following Figure 1 depicts the types of data analytics. Mainly Predictive analytics are used by healthcare professionals to process patient’s data, forecast the potential for illness, identify high-risk patient, reduce hospital readmission rates and so on. Risk stratification evaluation will facilitate in prioritizing clinical progress, reducing system waste, and make financially efficient population management. Well-established risk stratification includes low-risk, high-risk, and rising-risk will play a key role in some health care situations. For instance, a calculated risk score will facilitate decrease system waste by setting progress priorities for patient follow-up in patient populations. Using this predictive risk score ranking, care managers are prompted to concentrate on those patients at highest risk and preemptively get involved with medication reconciliation, planning home visits, or follow-up appointments. The following Figure 2 describes the workflow of predictive analytics.